I took the majority of our 'S' activities from Bo's Curriculum from Itty Bitty Bookworm this week. Be sure to check back a little later today, because I will be posting a review on Itty Bitty Bookworm and there will be a giveaway for a full year of Bo's Curriculum - $300 worth of curriculum! You don't want to miss that!! We read the book Silly Sally by Audrey Wood every day this week. 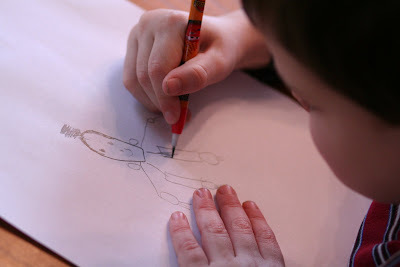 When we first sat down with the book, I let Zachary look at the pictures and had him 'read' the book to me and tell me what the story was about. He is able to read some of the words and was piecing it together, but it was so fun to hear how he interpreted the illustrations of the book! This is one idea that I pulled from Itty Bitty Bookworm that I am going to continue doing with our kids. 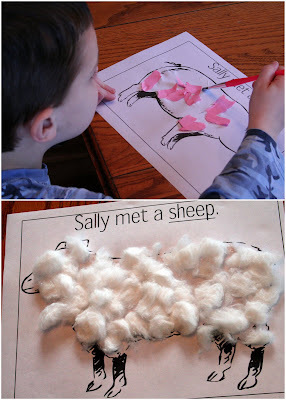 I've posted all the activities that we did along with the story, most from Itty Bitty Bookworm with one or two that were just too fun to pass up: our alphabet book page, letter sheet and a wooly sheep. This (as pitiful as it looks) is actually a spider web. Don't ask me where the spider disappeared to - more than likely somewhere where it will scare me some morning into thinking it is real. 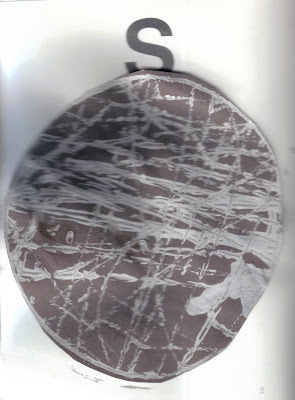 I cut out a circle from black construction paper and we put it into the bottom of a 9" round cake pan. Zachary dropped a few marbles into some silver paint and then rolled the marbles around to make the circle look like a spider web. Supposedly he glued a few spiders on it, although I can't seem to figure out where they are. 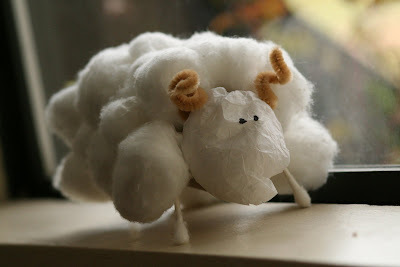 Since a sheep is one of the characters in the book Silly Sally and we have an over-abundance of toilet paper rolls, this little craft was so.much.fun ~ and too cute! I found the craft at Kids Craft Weekly some time back. At the end of Silly Sally there are shoes everywhere up in the air. One of the curriculum suggestions was to pair and size the shoes up. With so many people living in our house, we have an abundance of shoes. 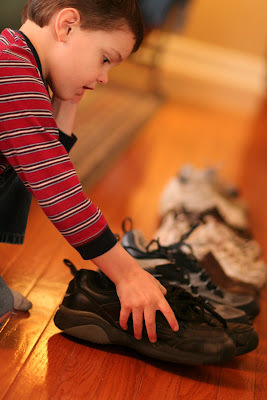 Zachary paired up 12 pairs of shoes and lined them up from smallest to little. After we'd read Silly Sally several times I asked Zachary what his favorite part of the story was. After he'd told me it was the part when Ned comes into the story I asked him to draw it out for me - just.too.sweet. We put together our own "Silly Sally" booklet this week to go along with our story. Zachary had fun tearing pink paper and gluing it onto the the pig. Later we painted some 'mud' onto the page too. The sheep turned nice and wooly after gluing cotton balls and Zachary insisted on coloring the loon and the dog spotty and brown. The book turned out great and he has been happily carrying it around with him as a book HE made. Itty Bitty provided several different writing opportunities for Zachary this week. He wrote color names to go along with Sally's bows in one of the mini-books and was so excited that he figured out the names on his own (copying them from the word list on the wall). Awesome post! I need to start joining preschool corner, because my boys are too old for Tot School. I'll have to look into that curriculum, or hopefully win it. What a ssssuper week! That wooly sheep is too cute! And I love the booklet. 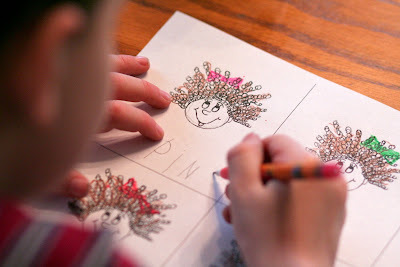 Well, my post is up and we are moving on to the letter S.
We just finished reading Silly Sally. We will have to borrow some of your great ideas!